Insects & bugs are indeed one of those elements that are unwanted at home and work places. Super Sure services is a Pest control service provider located in Borivali, offering clients with healthy and pest free life across Mumbai, Navi Mumbai, Thane & Palghar. We are the leading Pest Control provider In Mumbai professionally managed via high quality services keeping the human and environment concerns in mind. Some of the truly annoying pests include lizards, cockroaches, rats, spiders, bed insects, fruit flies, wasps, termites and others. If you come in contact with this pest, your are sure to fall ill and may get infected by different disease like malaria, jaundice, dengue etc. The bad part is that they are found simply anywhere and everywhere be it house, office, hotels, restaurants and any place that is not hygienic properly. Their ruinous effects can impact the health of your family or customers if not controlled and monitored on right time. They are very harmful and can make anyone ill very often. 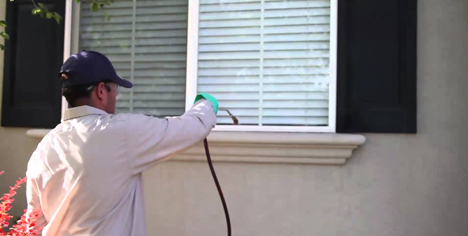 At Super Sure Services, we believe in their termination from the root by our pest control services. We use the best and most advanced solutions to treat them. Get pest control in Mumbai with us at affordable price. We totally take care of your property as we do very less drilling, so no much harm to the property. 100% satisfaction and guaranteed work. Standard chemicals used.